Grand Canyon National Park (GCNP) – one of the Seven Wonders of the Natural World – is one of the most spectacular and ecologically diverse parks in the United States. Together with portions of the Grand Canyon Parashant National Monument, the area spans 1.41 million acres (571,000 ha) of land ranging from less than 1,000 to over 8,000 feet in elevation. Vegetation types vary from sub-alpine spruce-fir forests on the North Rim to warm desert shrublands and warm desert riparian forests along the Colorado River tributaries, and from hanging gardens to ephemeral springs and seeps. 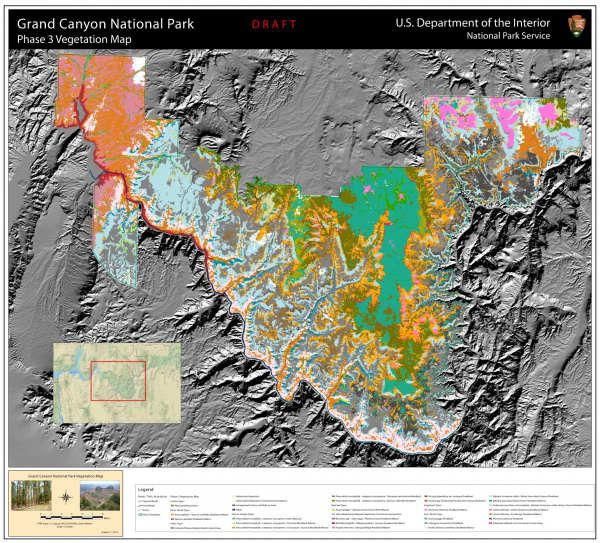 The National Park Service embarked upon a project to create a fine scale vegetation map within GCNP and those areas of the Grand Canyon Parashant National Monument under the control of Lake Mead National Recreation Area. 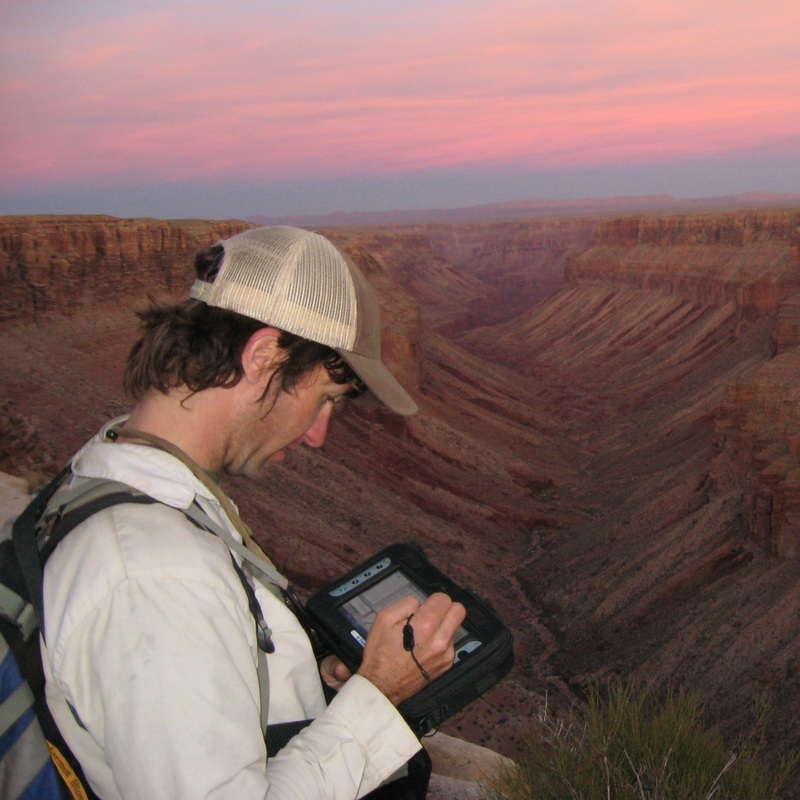 In 2009, Tukman Geospatial (working as a subcontractor to Kass Green and Associates) was chosen by the National Park Service to use airborne NAIP imagery, image segmentation, ancillary data, CART analysis, GIS biophysical modeling, photo interpretation, and field visits to map the vegetation of the project area using a National Vegetation Classification System (NVCS) compliant classification scheme. There were three phases to the GCNP mapping project. The phase 1 area includes the North Rim and South Rim above-the-rim areas, extending below the rim down to the red wall and was completed in 2010. Phase 2, completed in 2011, consists of the far eastern, central and west-central portions of the GCNP, mainly below the rims, including all of the inner canyon areas. The phase 2 area also includes some above-the-rim areas of the west-central part of the park, including the Kanab Plateau. The phase 3 area includes the far western portion of the Park, from Mt. Emma West to Lake Mead. This phase of mapping was completed in 2012. Deliverables for each phase include the digital map and metadata, printed poster-size maps and a detailed report. The project team for the GCNP vegetation mapping included Mark Tukman, Kass Green, Gene Forsburg, Steve Fugate, Rob Pedersen, and Kyle Christie.